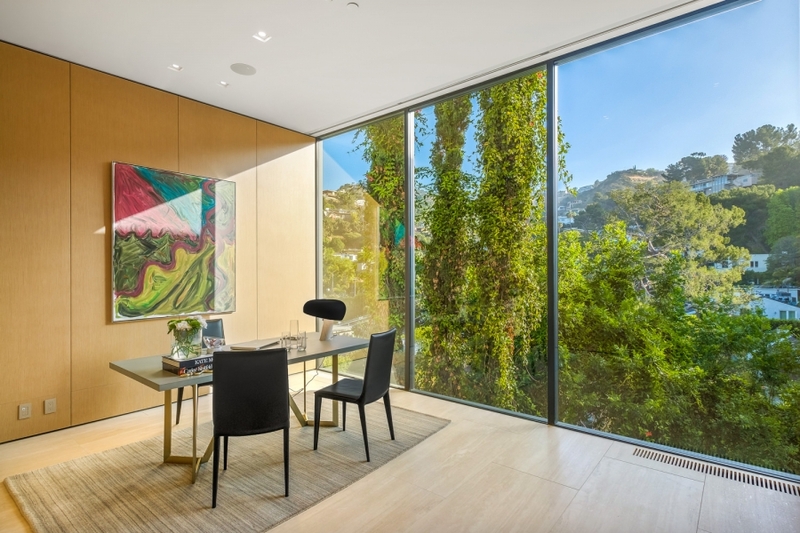 Step inside a Hollywood Hills dream house. 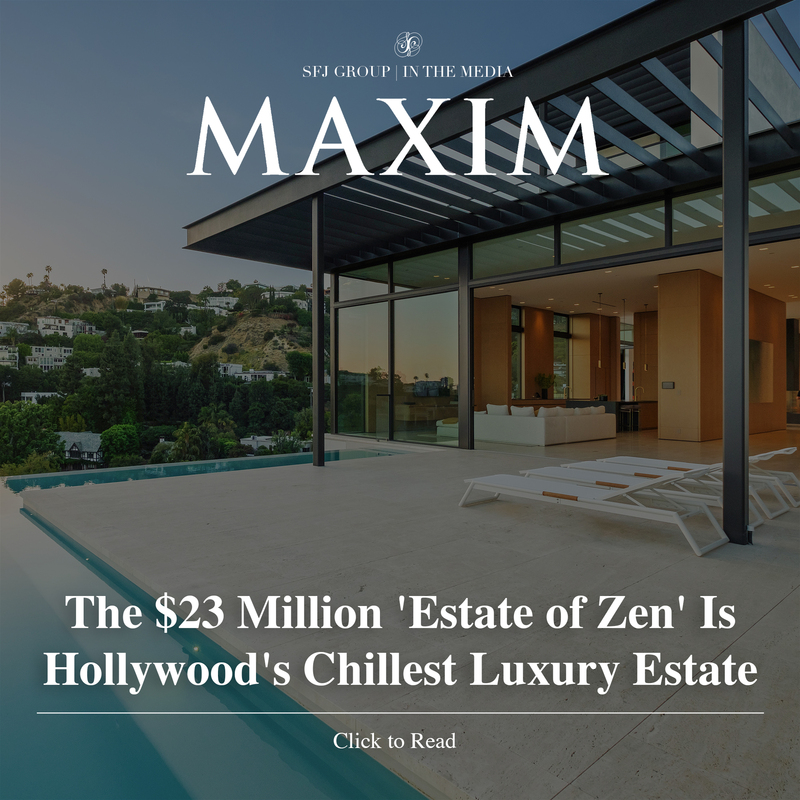 The sprawling “Estate of Zen” just might be the most serene estate in the Hollywood Hills, just check out these stunning photos and video below. 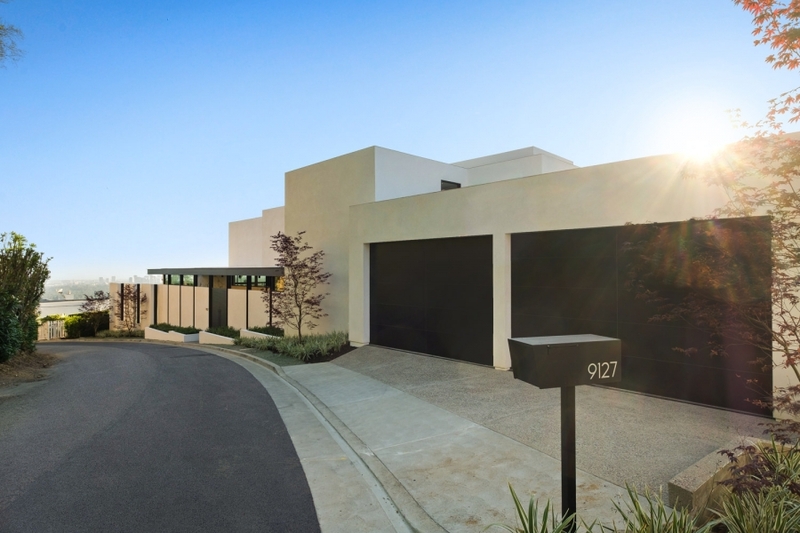 The four-bedroom, 10,094 square foot contemporary house is situated on a cul-de-sac in one of the most exclusive streets in the Hollywood Hills, and was constructed over three years and completed in 2018. Encased in panoramic windows and floor-to-ceiling glass doors that look out over city views from almost every room, the estate is as luxurious as it is bright and airy, with endless natural light. A two-level Infinity pool with white decks, high ceilings, a wine wall, entertainment room with its own bar, Japanese maple foliage, and custom oak wood natural finishings make the house ultra-luxurious in addition to peaceful. The master suite has a giant walk-in closet that’s reminiscent of a boutique store, and also features Fleetwood pocket doors that lead to a private balcony. Adding to the zen vibe of the estate is a spacious home office to separate work from rest, and perhaps more notably its very own wellness center that’s essentially a luxurious spa, which includes a sauna, rain shower, massage room, and fitness area. What’s more is that the house is fitted with Sonos speakers as well as the Lutron light system that works with outside light to create a perfectly balanced atmosphere (and conserve energy). Plus, the realtors listing the home — Sally Forster Jones and Tomer Fridman of Compass — didn’t offer potential buyers the classic open house treatment. Listed for a cool $22,950,000, the Estate of Zen isn’t just for your average yoga fan looking for some more tranquility in his or her life. With that price tag, only the richest can get a home as ridiculously zen as this.